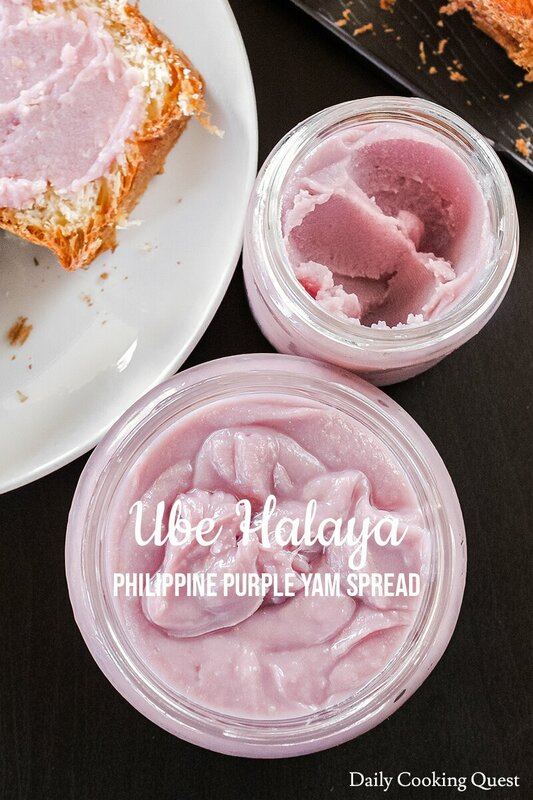 Ube halaya is a Philippine bread/pastry spread with a naturally pretty purple color. 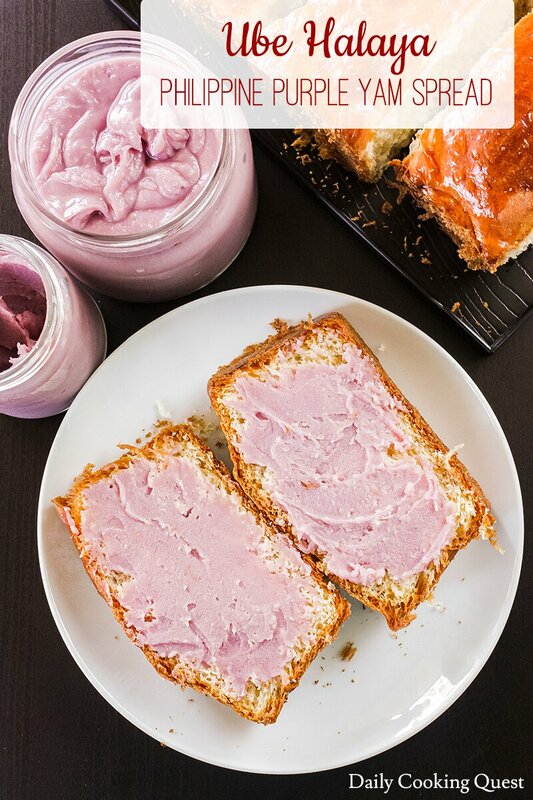 It can be enjoyed as is as dessert, but I prefer to treat it as spread for my morning toasts, or as filling for my bread rolls. 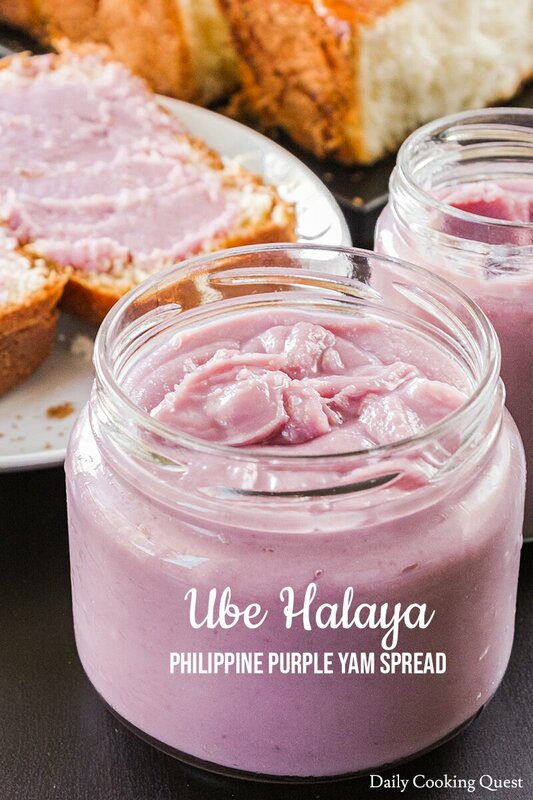 Ube halaya is my second most favorite Asian spread, right after srikaya (egg and coconut milk spread). Like srikaya, you can buy ube halaya at most Asian grocery stores. But making it at home means it will be free of preservatives, and I get to control the level of sweetness too. Plus, it is actually super easy to make your own batch of ube halaya. Here is what we need to make our own ube halaya: purple sweet potato, condensed milk, coconut milk, sugar, and butter. First, steam/boil the purple sweet potato until tender, then drain and mash with a fork/food processor. Combine mashed purple sweet potato with the rest of the ingredients in a sauce pot and bring to a boil, then lower the heat to a simmer, and continue cooking until the spread is thick. I usually stop cooking once I can see the bottom of my pot when I scrape the mixture with a spatula. I store the spread in clean glass jars and place them in the fridge. If you want to make sure the spread will last for some time, it is best to treat the jar(s) as if for canning purpose, i.e. sterilize by cooking in boiling water first. On the other hand, if you plan to finish the spread within 2 weeks, it is not that important to sterilize the jars. Steam/boil sweet potato until fork tender. Drain the sweet potato, then mash with a fork (or with a food processor). Boil together mashed sweet potato with condensed milk, coconut milk, sugar, and butter in a sauce pot. 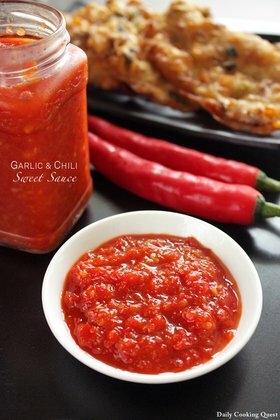 Once it boils, reduce heat to a simmer and continue cooking until the spread is thick. I usually stop cooking once I can see the bottom of the pot when scrape with a spatula. 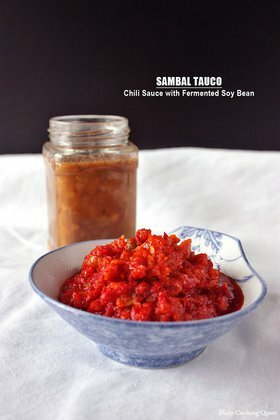 Transfer the cooked spread into clean glass jar(s) and store in the refrigerator. Allow the spread to return to room temperature prior to serving. I've seen different recipes using purple sweet potatoes, but I've never tasted it. This spread sounds so tasty and easy to make. I would love to spread some on toast and enjoy with a cup of tea! I have never heard of this before, but I'm definitely intrigued. And that color is so pretty! 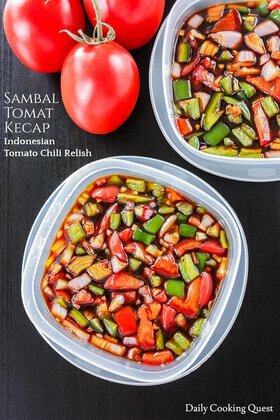 This is such a unique recipe and I love it! Healthy ingredients and a beautiful color to boot. Thanks so much! Wow that is a certainly a new recipe for me and can't even imagine the flavour, lovely colour too! I am sorry if the error i detected is only a problem with nomenclature. I just want to point out that "ube" is a purple yam and not a purple sweet potato. This particular yam tastes vastly different from the sweet potato. No offense meant. Hi Tania, it should work with normal orange sweet potato, but of course the color will be orange instead of purple :) I haven't tried using full cream milk, but I don't see why it won't work.